Jaipur has kept its heritages intact and as soon as you arrive in the city you can feel that. Grand palaces, some of which have become heritage hotels now, are the abode set in luxury and if you choose to stay in one of these, do not forget to take the elephant safari. Read on. A wish to arrive in a historic city to witness the vestiges of the gone era is something that calls for a great holiday time and which city would be a better choice than Jaipur. This Pink City has so many palaces and historic monuments of royal significance that it would take a whole travel journal to sum up the details of this one itinerary. Many of the grand palaces have now been converted into heritage hotels in Jaipur, offering a saunter in the regal corridors where once the kings and Maharajas used to walk. This is the true legacy of India and its places — the magnificent traces of the old times when its lands and shores were hailed as the symbols of prosperity worldwide. As the times have changed, you can still experience how the high threshold of mansions of kings stimulated a sense of pride and nobility not only in the royal bloodline but also among the people who looked forward to their ruler as their qualified caretaker. Hotels in Jaipur which come under this category are well-maintained and the hospitality you receive gives you an insight into how the lives of the Maharajas felt like, and even in the least sense of it you would feel like a diplomat. Old Jaipur – Jaipur is known as Pink City because of its old part where the houses are whitewashed all pink. This is the whole settlement that is adjacent to the main fort where the king used to live. City Palace – It is the abode where the kings spent their time in rest. Now the palace holds a museum and some arts and crafts points. The architecture of City Palace is worth noticing. Hawa Mahal – This huge palace has 953 windows or jharokhas which were made so that the queens could view their city from here. 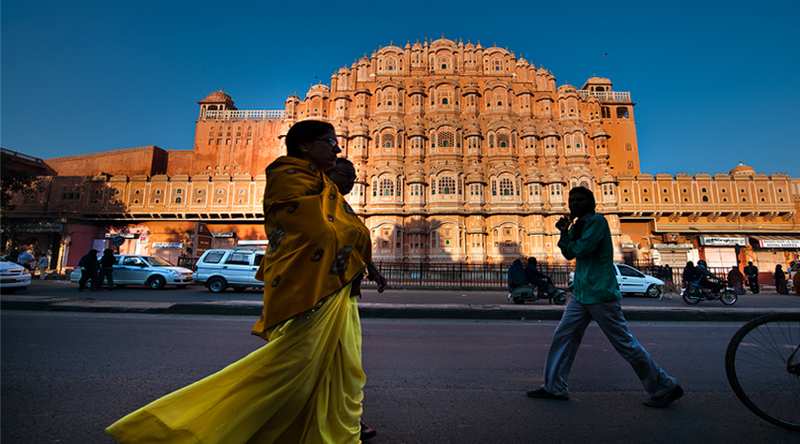 The architecture and construction of Hawa Mahal is such that it remains breezy and cool even during the hot summers. You would be mesmerised by the intricacy of work that has been done on this building. Amber Fort – This is also known as Amer Fort. About 1o km outside the main city, Amber Fort was built by Raja Man Singh in 1592. It is a huge fort and has four courtyards inside it, which were intended for different purposes. Jantar Mantar observatory – Maharaja Jai Singh II had a deep interest in astronomy, architecture, and philosophy. Hence this observatory with its unique sun-dial was built for him. Explore the Pink City and its numerous attractions and in case you do not wish to splurge a lot on your accommodation, you can check out budget hotels in Jaipur.